My oldest son sends me ideas on places to go and sometimes requests. He knows I'm now in McHenry, IL and a short distance to Wisconsin. 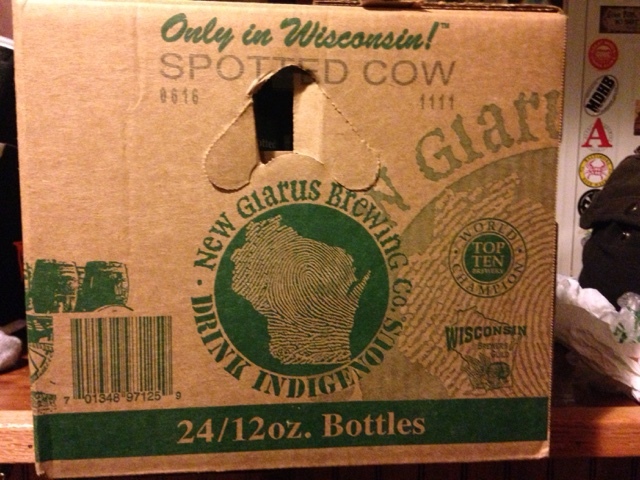 I'm visiting my aunt for a few days so with the knowledge that New Glarus Brewing only distributes in Wisconsin, I planned a trip in the Prius to the state with my aunt. We cross the state line from Illinois and the BP Gas Station was the first stop. 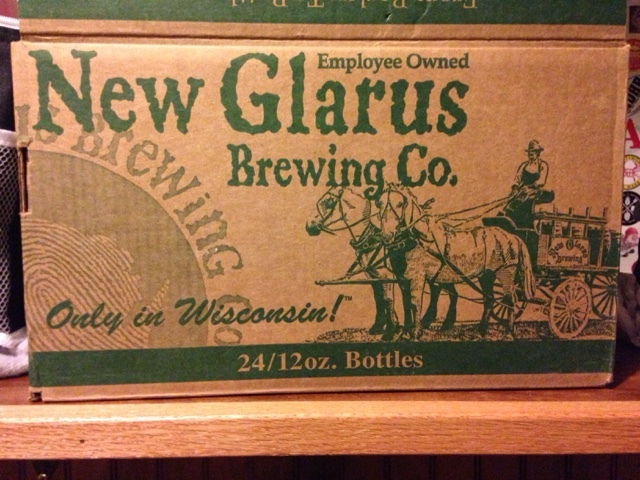 I walked in and cases of various brews of New Glarus were stacked on the floor. My son was very specific in that he wanted Spotted Cow. There it was! I continued our trip to Lake Geneva for lunch with my aunt and the case of beer went for the ride. The case will be moved to the front passenger seat floor for the next few days until I get to Maryland where I can deliver it. The things a father does for his beer loving son. Thanks for the beer Dad. It's great!